The summer is here in Fort Wayne and that means your kids are home from school. Their summer vacation should be fun but this is a good time for them to help clean around the house too with cleaning chores. 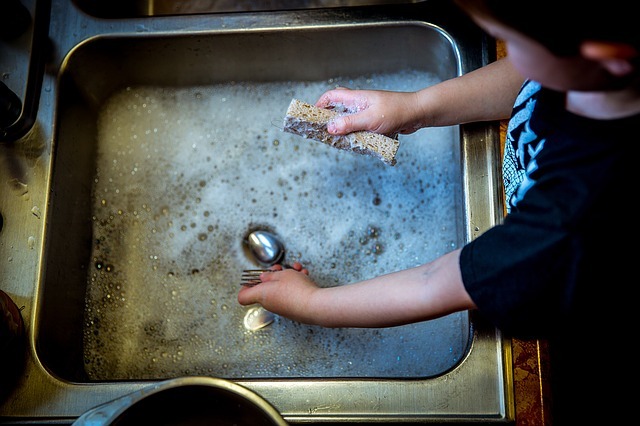 Here are some ways to make cleaning chores for kids easier this summer. You should define a clear space for all toys and items the children are responsible for. This will make it easier for them to pick up their toys and put them away in the proper place every time. You can label different bins and shelves so that it is easier for small children to remember where toys and books and clothes go. You can create a chore list or calendar and award stickers or stars when a cleaning chore is done. You can also make it a competition too where the child that receives the most stickers or stars in a week receives a prize at the end of the week. Give children small chores instead of large projects. Your children are more likely to complete multiple small tasks than finish a really large, daunting cleaning project. Your carpet should be vacuumed every day so this is a perfect chore for kids in the summer. Have your child vacuum every morning before they’re allowed to play outside. Kids will like using the vacuum just like mommy does and your carpet will benefit from it too! Plus, one last chore for you each day! The more cleaning chores for kids and the more you can focus on larger projects for your home. This would be a good time to consider summer carpet cleaning for your home. The summer weather helps carpet dry faster and your home will feel so fresh and clean too! Learn more about our service at our website. Chem-Dry of Fort Wayne in Allen County, IN deep cleans carpet with green solutions and Hot Carbonating Extraction (HCE). Our process is 100% safe for children too! Enjoy the summer with your children and a clean home with an appointment from Chem-Dry of Fort Wayne. Call (260) 409-1138 today!